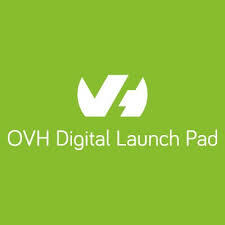 Cloud infrastructure provider OVH, announced the launch of Digital Launch Pad (DLP), an accelerator for Indian start-ups. Kickstarted its operation in India few months back, the firm OVH launched its accelerator program under which the firm will offer up to $100,000 to start-ups from innovation to market stage, to deploy solutions built on OVH infrastructure along with training and expertise. OVH’s global DLP program which was launched in 2015, has supported 1,500 start-ups in 120 countries. DLP in India would support emerging businesses in the digital arena and allow them to benefit from reliable and flexible cloud infrastructure. “Public cloud services market in India has seen phenomenal growth over the last 2 years, reaching $1.8 billion in 2017, and is expected to reach $4.1 billion by 2020. With its size and scale, India is well placed to take advantage of the data revolution and we want to draw on our international expertise to help Indian businesses to develop new ideas through a smart cloud, help them through the product development and go-to-market stages and grow along with them as their business grows” said Alain Fiocco, EVP & Chief Technology Officer, OVH.